Blaby District Council are set to launch their new weekly recycling scheme from 3rd June 2013. Under the new arrangements, more use is made of the ‘green lidded’ bin for recyclables with the remaining refuse being placed in the ‘black lidded’ bin. Refuse and recycling collections will take place weekly, replacing the normal current weekly refuse collection with recycling collection taking place fortnightly. From 3rd June please put all recycling into one recycling bin (the current green lidded bin) and the remaining rubbish into the black lidded refuse bin. The Council will empty both bins weekly. In November the Council was successful in obtaining £2,000,000 worth of funding from central government as part of the “Weekly Collection Support Scheme”. This funding will enable the Council to continue to empty your refuse bins on a weekly basis for at least the next five years and to increase the recycling collection from fortnightly to weekly. This means that you will only have two bins at your property (three if you choose to use the garden waste collection service), instead of two bins and two boxes. It also means that you will be able to continue to recycle your glass at the kerbside, not through village bring sites or disposing of it in your black lidded bin. The new scheme will be an improvement for you, more efficient and more environmentally friendly than the current arrangements as there will be less sorting of rubbish, no lifting of boxes and less vehicles on the road each week. The District Council delivered information leaflets to each household between Friday, 26th April and Sunday, 12th May 2013. If you haven’t received your leaflet by that date please download a leaflet here orrequest one online. When will the new scheme be introduced? 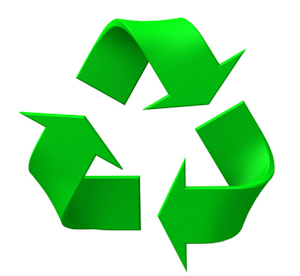 We will put a new sticker on your recycling bin between Monday, 13th and Friday, 24th May. Please make every effort to put your recycling bin out on your scheduled collection day to ensure you get a sticker. We will remind you to start using your recycling bin and to stop using your boxes by putting a bin hanger on your refuse bin between Monday, 20th and Friday, 31st May. What will happen to textile and electrical equipment collections? They will be collected weekly by Mind. Please put your small electrical equipment and/or textiles in the Mind bag. Please use the existing paper and card bin for one month. If you feel that the bin is too small after the first month, you can swap it for a larger 240ltr or 360ltr bin. If you have access or storage restrictions you can also opt to have two of the standard 140ltr bins. Please do not order a larger/additional bin until after 1st July 2013. Do I need to wash my recycling? Washing your recycling helps to keep bins clean and reduces unpleasant smells. Just a rinse after you’ve washed up will help. Please also squash plastic bottles and cans, and rip up cardboard to make full use of your bin. What happens to the recycling after it’s collected? Materials for recycling are taken to Casepak, a materials Recycling Facility (MRF) at the Braunstone Frith Industrial estate in Leicester. The MRF is one of the newest of its kind in the UK. The resource facility is fitted with some of the most advanced technology currently available to sort and separate mixed recyclable materials. How many bins can I have? Recycling bins are free of charge and you can have as many as you need/want (within reason). What will happen to the old boxes? I don’t have room for a bin and currently have bags delivered – what will happen to my recycling? You will be issued with new bags after 6th May.